Thanks for checking out this new section I am looking to expand on, depending on your feedback in the comments. I have been watching a lot of video on wigs, weaves, braids etc.. An it darned on me just now while watching this video below that maybe you would like to see these types of videos too but all in one place. You come here for your wig information, why not watch a video or 2 as well. But I thought of taking it a step further and actually sharing the links to the wigs they are talking about in the videos. If you like what you see you can go to Amazon.com or Amazon.co.uk & check them out. I know it can be time consuming trying to find wigs you see via YouTube and then remembering where the video was and what she said about it again. I will do that for you. Below is the 1st video all about the Vixen wig. I would love your feedback on this idea. Do you like it, what would you like to see more of it? Would you like to see other types of hair videos linked to relevant information? 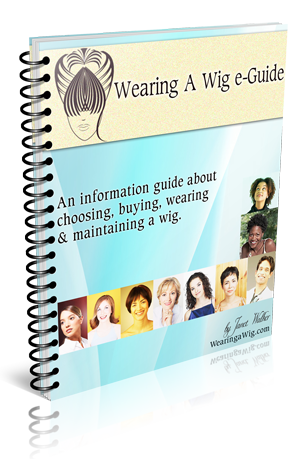 Would you like a space to share your beautiful wig images to help others with finding new styles? Please share your ideas and suggestions in the comments below. I really appreciate your feedback because its for you why I created this space. See you in the comments. I came to the website looking for discussion about first time users. I plan to be out in public for the first time with my new wig. I have to commit to wearing it for many hours at once; there’s no turning back. It would be great to have this kind of dialog. Thanks. Thank for taking the time to share your comments with us. I have taken your need on-board and I will see what I can do. Do drop me your contact details by signing up and replying to the welcome email. Then I will keep you updated on anything new.